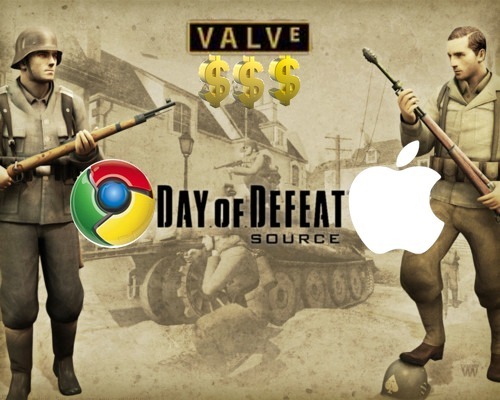 Here’s an interesting figure: Valve makes more money per employee than Google or Apple. While we can easily figure out how much the publicly traded Google and Apple make per employee, estimating what Valve pulls in is trickier. Valve has done quite well selling video games – over 12 million copies of Half-Life 2 alone – but Valve is even better at selling everyone else’s games – not just its own – in Steam. Steam is an online video game distribution program owned by Valve; it controls an estimated 50-70% of the $4 billion per year market for downloaded games. Valve’s founder, Gabe Newell, says that the 250-person company brought in “high hundreds of millions of dollars” in 2010. Although, they have not released their financials, over 30 million people using Steam so it’s easy to assume they are doing as well as he says. The company is valued at $2-4 billion which is reasonable considering Zynga’s value of $4-6 billion – and they got that just from some farm game. However, it’s funny that a company that isn’t dealing in advertising or shiny gewgaws is actually making the most cash per capita.